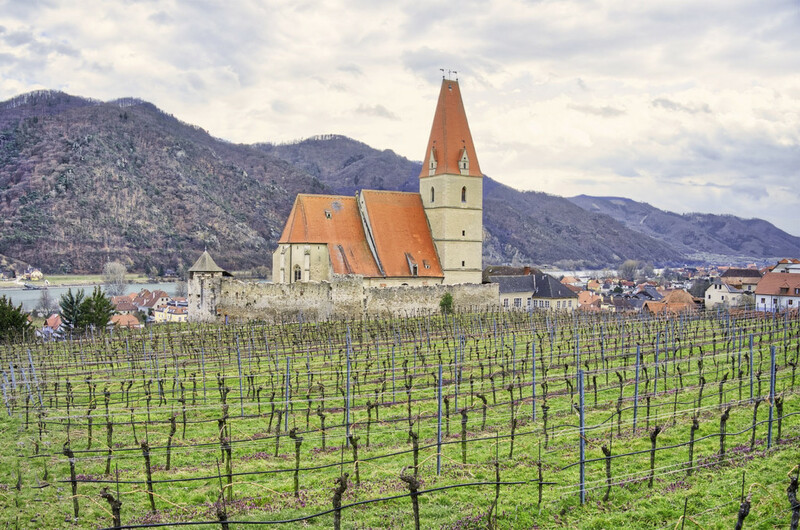 On the photo is the fortified church of Weissenkirchen in Lower Austria. It’s a church with a castle wall and defensive positions, built in the medieval times, a mixture of church and ancient castle. The location is on a knoll, one of the higher points in the city, which underlines the position for defense against horse attacks and knight troops.